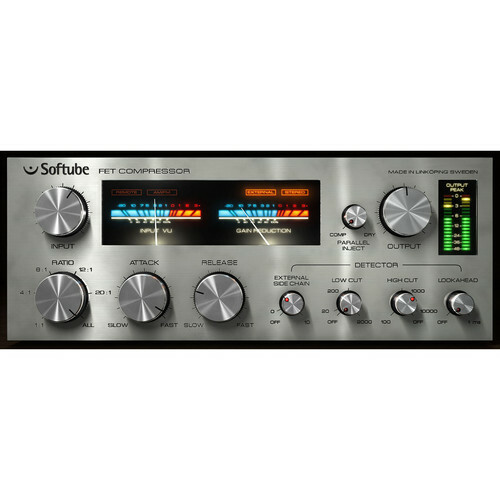 The FET Compressor from Softube is a native based compressor plug-in modeled after what is arguably considered the most famous solid state hardware compressor. The company realized that simply approximating the most apparent features is not enough to capture the uniqueness of the original hardware, so instead of modeling individual features and putting them together digitally, they modeled the unit in its entirety - input and output stages, gain reduction feedback loops, bias differences of different transistors, etc. Unlike the original, the plug-in features a fully variable ratio although it can still function the standard way with fixed ratios. And of course the "All Buttons In" mode has been included. The signature attack that the original is famous for is faster than a single sample, and a look-ahead detector can make it function even faster. Parallel compression functions within the plug-in and since the "Dry" signal also spends some time inside the algorithms, it can take on the subtle distortion derived from pushing the input and output stages. 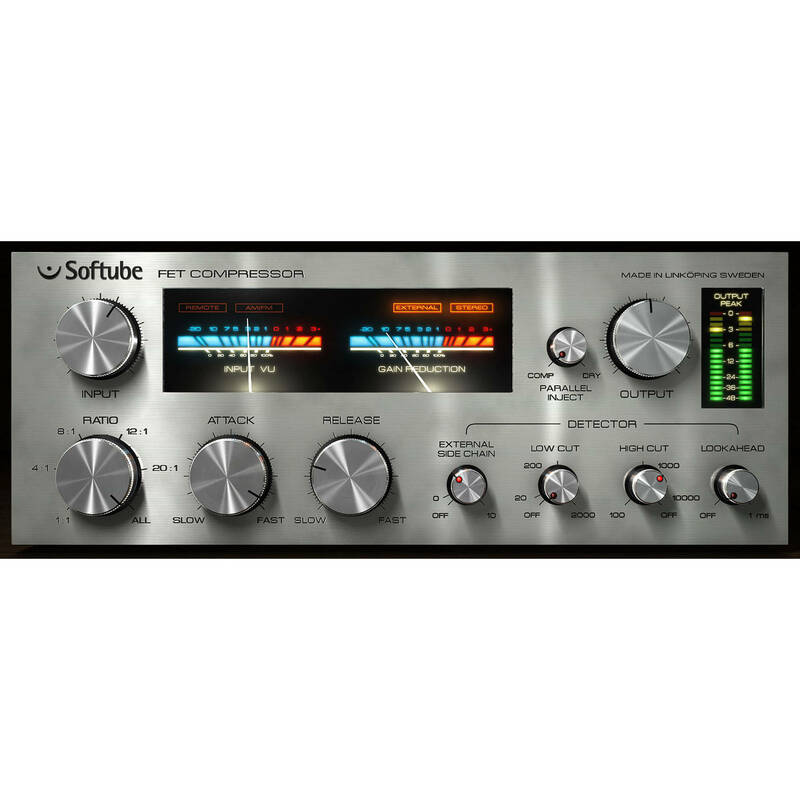 Added features not found on the original hardware include external side chain support, detector look-ahead with low- and high-cut filters for the detector, two modeled VU meters, and a stereo peak meter that allows for controlling the output signal. In case there is no use for the extra features, they can be simply switched off.